The lessons offered by the Zapatista movement of Chiapas, Mexico are more pertinent now than ever. As the “pink tide” of left Latin American governments recede and the right resurges throughout the Americas and the world, the Zapatistas offer a different way forward. Instead of seeking state power, they have remained steadfast in their commitment to build an autonomous government system beyond the logic of capital and the nation state, and continuously resist attacks on their communities by all sides of the Mexican political spectrum, including the current “progressive” Lopez Obrador administration. 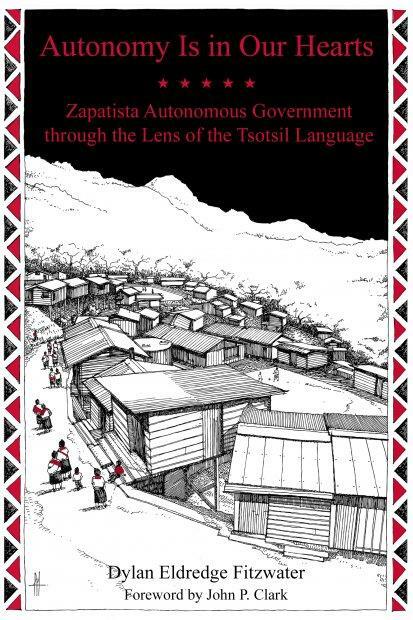 Autonomy Is in Our Hearts gives a detailed account of this autonomous government system based on hundreds of testimonies from within the Zapatista base communities. It is rooted in Dylan’s own experiences of years of Zapatista solidarity work and as a student of Tsotsil, a Mayan language indigenous to the highlands Zapatista communities of Chiapas. Dylan Eldredge Fitzwater has encountered the Zapatistas as a human rights observer, as a participant in several international gatherings, and as a student at the Zapatista language school in Oventik. His most recent permanent residence was Portland, OR where he worked at Burgerville, a regional fast-food chain, and organized for the Burgerville Workers Union, an affiliate of the Industrial Workers of the World. He is currently on the road living out of a van and selling Zapatista coffee through MonkeyBear Coop.